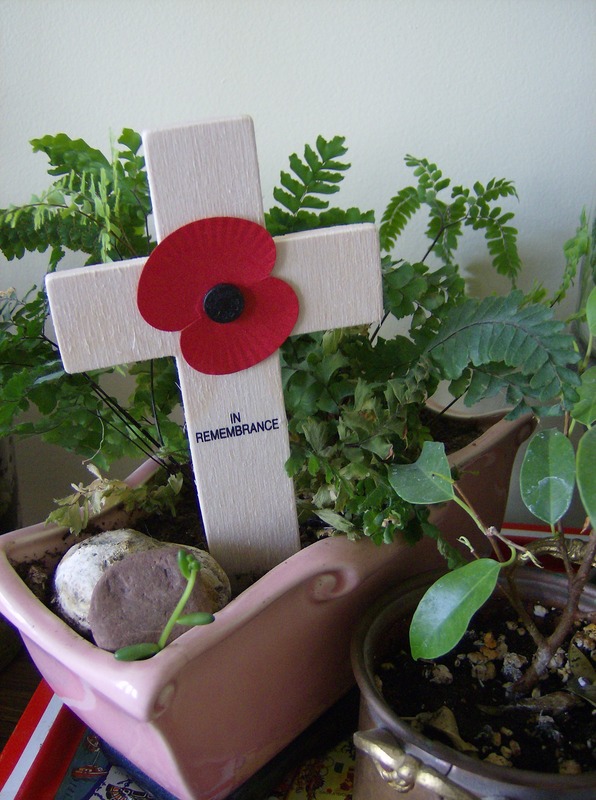 Two major events are occurring at the moment in my life… my parents recently returned from a three-week trip to the UK; and since Remembrance Day is coming up, it is Veterans’ Week here in Canada. Are these events unrelated? They certainly seem to be, but actually their simultaneous occurrence could not have been more fortunate. My parents brought back some souvenirs for me, and I am so glad they know me so well and that their trip was so close to Remembrance Day. No I Love London t-shirts or tacky keychains here… instead, they brought me back some fantastic military artifacts and Poppy Appeal products just in time for this special week of remembrance. Unlike in Canada where the only products commonly sold are lapel poppies, the UK’s Poppy Appeal offers a wide range of products. 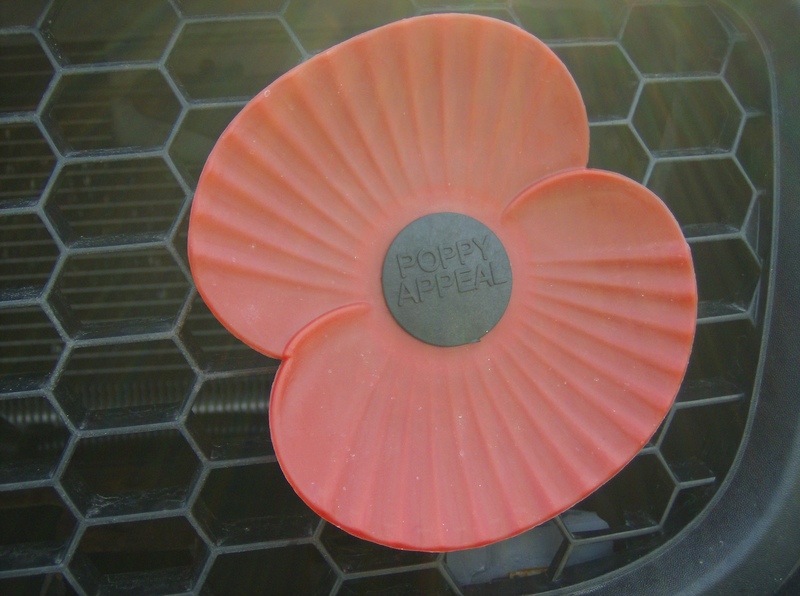 One of the most unique is a large plastic poppy for affixing to a car grille. My brother and I each got one of these poppies; and since we are both dedicated petrolheads with a great love for our cars, there could be no better way to show our respect than with our automobiles. These car poppies really stand out and are very beautiful. I think it’s very fitting that my car, an ex-police vehicle used to serve and protect, is now showing respect for those who sacrificed in that same mission of service and protection. 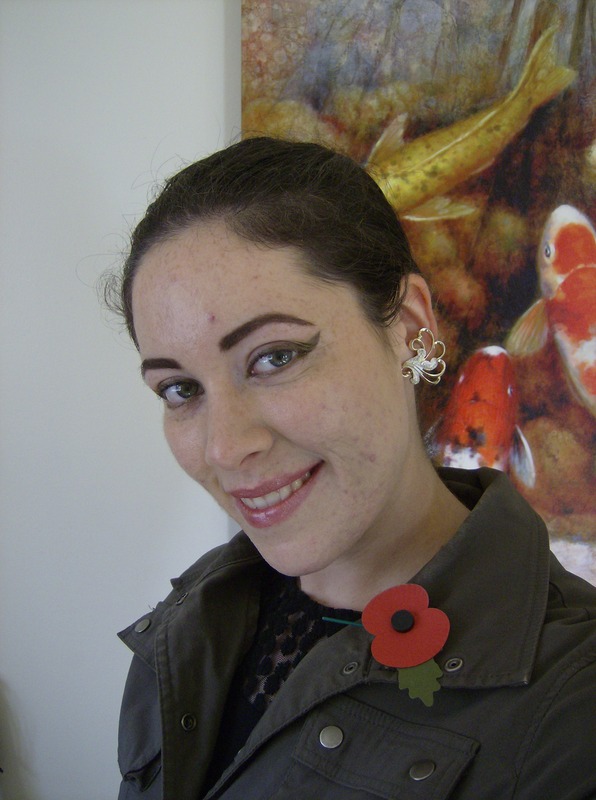 I think it’s very important to buy and wear a poppy every year. It’s a simple display of respect which is easily overlooked, but the purchase of poppies funds help for the people who have selflessly helped us, often to their own detriment. And the wearing of poppies demonstrates not only to veterans and serving members, but also to ourselves and our peers that we recognise the contributions made- even in vain- to the security and peace of this country and the world at large. Poppies don’t condone war; they simply acknowledge the sacrifices made by people in terrible circumstances as they attempt to make the world a better place. 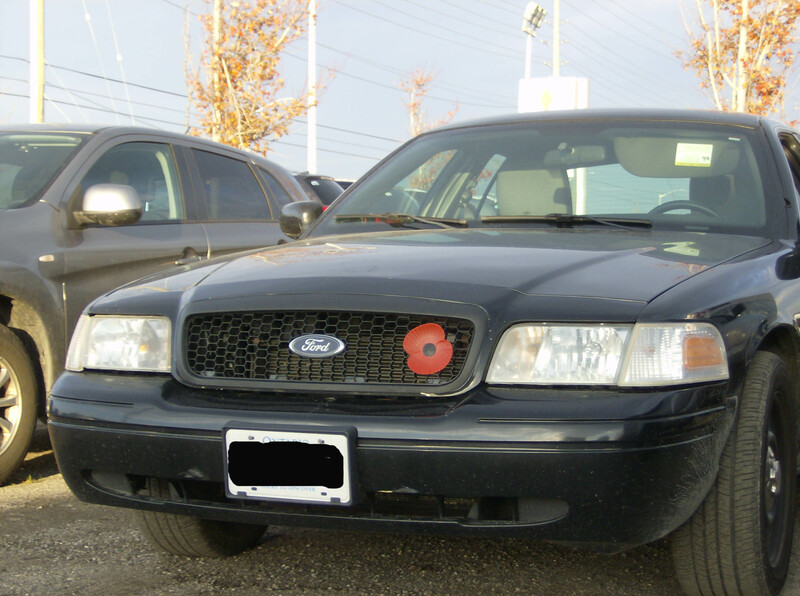 This year I am wearing a Canadian poppy at work, and a British poppy (seen here) in all other situations. My parents aren’t the only ones who know how much I appreciate military stuff. My church’s former vicar is well aware of my interests, and he recently gave me a bunch of deactivated WWII-era ammunition! 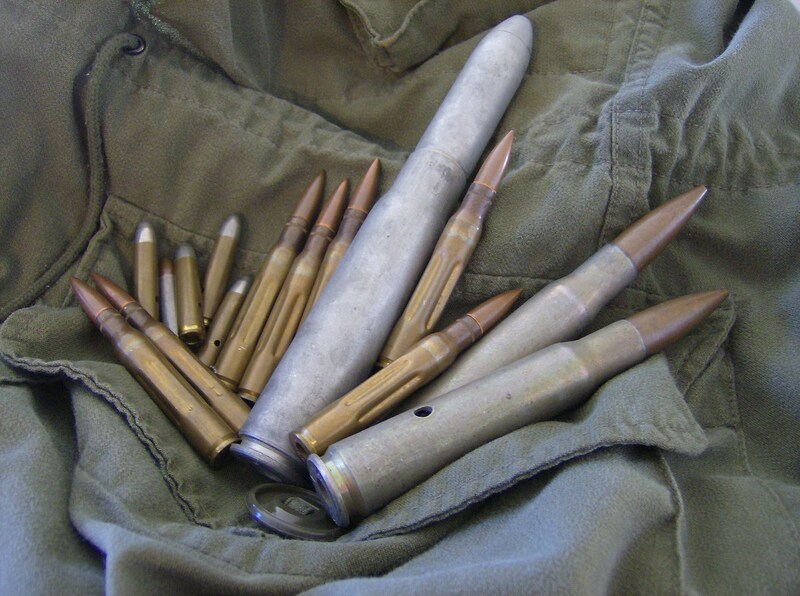 There are some .30 cal rounds, two .50 cal rounds, some smaller pistol rounds, and one 20 mm round. 20 mm rounds are often used in aircraft cannons, so this is quite a magnificent artifact to have! 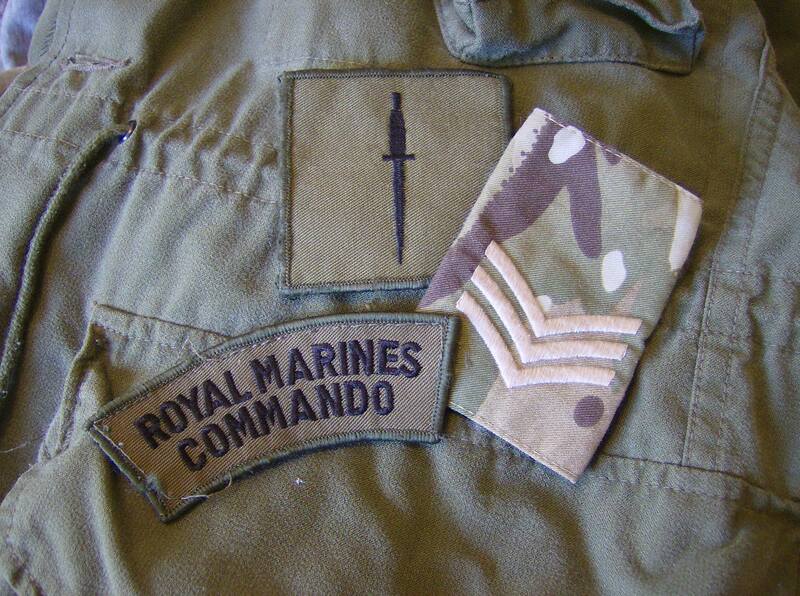 My parents also brought back these Royal Marines badges from the UK. My collection grows! With Remembrance Day quickly approaching, there is certainly a lot that reminds me to remember. These souvenirs from the UK are some of the most special I’ve got, and the timing could not have been better. I am remembering this Veterans’ Week, and I hope that this post inspires you to as well.